My parents have been looking for a small to medium size dog for almost two months now. They lost their dog of fifteen years a short time ago. I know they're lonely and not accustom to life without a dog, so I wasn't surprised when they revealed to me that they have been looking to adopt. With them not being the most tech savvy people, I've been aiding them in their search and I find the whole process overwhelming and at times downright annoying. We live in Ontario. Dogs are not out roaming our streets. I'm willing to bet that 75% of dogs are willingly surrendered, the others are taken from bleak situations, abandoned or lost. This means that dogs are a scarce sight in our shelters, which is great, but the bad side of this is that competition for a rescue dog is increasingly tight. And with rising shelter fees the saying "adopt don't shop" no longer applies here. In some cases it is the same cost to adopt from a breeder as it is from a rescue organization, and with rigid adoption requirements it makes buying from a breeder that much more appealing. However, my parents aren't sold on puppy training, so a rescue dog is still at the forefront of their minds. We've seen a handful pop up from time to time but it's as though fate is against them. I've tried reaching out to many organizations with very general questions about the adoption process or the dog in question, and I never hear back from them, whether it's by mail, phone or on social media, they won't answer any of it. At a local brick and mortar shelter my parents have come out to see dogs they're interested in and are told to "call back" about them, but the shelter is notorious for never answering their phone - that's a major hiccup in the adoption process. Just recently they found a dog that they really like, but this shelter rep turns around and tells them that the dog will be popular, they'll have stiff competition, and that anyone who has adopted from them before gets "first dibs" on it. What kind of garbage is that?! It's like an exclusive dog club where the only way to get a dog with them is apparently to already own one? I'm dead serious. Can we say trust issues? If that's not bad enough there have been multiple other shelters adopting out lost dogs before people can claim them, lying about dog breeds (pretending a German Shepherd is a Corgi), or playing head games with adoptees. It's so heartbreaking to see my parents lose out on dogs again and again. I'm stumped. And yeah, we've looked at adopting rescues from overseas - they don't answer messages either. Last edited by JoanBlondell; 03-28-2018 at 02:24 PM. I purchased my Aussie pup from a good breeder, so have not experienced any headaches and heartaches from trying to adopt - though I have heard stories similar to the one you seem to be going through! I did just want to pop in and toss out the idea that while your parents aren't thinking of a puppy - good breeders do sometimes rehome their adult dogs. Atlas' mom was actually rehomed after his litter to a wonderful lady and she is doing obedience with her! It's fun to see her updates, and this lady loves following along with Nova's puppies. I also know my breeder has sold or rehomed younger dogs (think 1-2 years vs 3-5) for likely any number of reasons (not enough time, not the show quality she was hoping for, etc). That's actually how I met her to begin with, but ended up having to wait a few years before I was able to get a dog, which ended up being Atlas. Something to consider, as these dogs would likely come with all the same things as a rescue (shots, likely spayed/neutered), but likely with a known history and possibly more training! Being in Ontario, you could likely find some very good breeders to talk to (in any number of breeds). Last edited by Life With Atlas; 03-28-2018 at 02:33 PM. There's nothing wrong with purchasing a dog from a reputable breeder. You're helping breeders improve a breed and contributing to responsible dog ownership and breeding practices. If you don't want a puppy, sometimes breeders will rehome an older dog for some reason, like it was not breeding quality (which could mean it had a slight structural fault that will not impact the health of the dog or even a color that is not breed standard). If you're having difficult with the rescue route, its not a bad idea to start speaking with breeders. They can help point you in the right direction. Likely, you will have to wait a bit, though. I live in a rural state in the United States and we have the same problem on a smaller scale. Nice, small breed dogs, are so rare that we import them from California and other states that are overflowing with shelter dogs. I work in a shelter, and we support responsible adoption and breeding programs. Because there are irresponsible breeders, but also irresponsible rescues and shelters. If I were in your shoes I would be contacting reputable breeders in Canada and asking if they'd be willing to sell a retired dog, or an adult dog that needed rehoming. Especially if you're looking for a small adult, having a dog flown to you is not a crazy idea. Or, if you're close to the US border, maybe check out some of the shelters in the States. I don't live in the great lakes area so I can't speak to the shelters there. I'm in Ontario too. My dog came from the Domican Republic, Dogs & Cats of the Dominican Republic. My written application for a dog I wanted was denied (no fence), my husband picked up the phone, we were matched with border-collie-ish young adult. (we are very active & experienced with dogs), but it was a month after the phone call that we were offered the dog, and two more months before fostering and transport was arranged. We had the right to refuse, a two week period to decide, and & woman in Ontario will take back, foster, & rehome dogs that don't work out. The nice thing is knowing the organization does tons of outreach in the Dominican (check out their facebook group). I don't know how old your parents are, but maybe rescues are worried the dogs could be rendered homeless if they encounter health troubles, if that's the case you could make it clear that you are part of the circle of care. Short answer, pick up the phone, get on a list, be careful. There are good rescues & not so good. Most important, if a dog does not work out, they must be able to foster & rehome. You don't want your parents stuck with a "project/difficult dog". Newmarket Humane Society has dogs, and gets dogs in from northern/remote communities, they can be nice dogs too, but don't think they have a trial period. And, yep, I remember the days when I just showed up at the dog pound and picked a dog and it was mine, no questions asked. I tried to post a reply but it tanked?? So apologies if it double posts. The gist of my response was that I have yet to find an active breeder, it seems most of them are retired, and with my parents living on my dad's pension (retired and my mum semi disabled) some of the dog breeds they're interested in are far out of their price range. Little dogs! They're in high demand I guess. I just hope they can get this rescue dog that they have their eyes on. I find it really obnoxious when you try to communicate your interest in an animal but the shelter takes so damn long responding to you that by the time you hear from them the dog is already adopted out! Sadly that's the case with a lot of these rescues because they're mostly just a network of foster homes. Fingers crossed they get what they're looking for, I'll have to post here once they find something. I suspect that if you got into Detroit and checked craigslist or the local shelters you'd have a small dog in about an hour. But for what it's worth, I am also done with rescue organizations. Private rehoming, breeders I am comfortable with and done. And I used to work HEAVILY with rescue orgs, but I saw way too much stuff - not just picky standards, lack of communication and denials- to go there again. I live in Ontario as well, in the GTA. Small to medium sized dogs are harder to adopt because everyone wants a smaller dog. Go big and black and you will have more dogs to choose from than you know what to do with. Rescues have much more rigid restrictions than shelters, but they are both fairly rigid for a very good reason. They are there to serve the dogs, not the adopters. It is their objective to see that dogs get into suitable homes and never end up back in the rescue. This is more difficult than you think. We adopted our past two dogs from a rescue and one from a shelter. The requirements were not onerous. However, when they passed away and we adopted our current dog from a local rescue they took our application online, then did a telephone interview, then we did a meet and greet where we met the dog and they did an in-person interview, then they came out to our house and looked at our backyard, our fence, our living situation and did another interview. Then they told us everything we needed to fix (the gate needed to be replaced, and in one spot the fence was too low) before we could have the dog and we had to show them that those things had been fixed. Then, and only then, were we able to adopt the dog. It took about two weeks. There are significant difficulties that you will face with a rescue dog that you wouldn't necessarily face with a puppy from a breeder and those need to be addressed. Rescue dogs will often try to run away, they have no connection to you and they won't know where their home is. Rescue dogs often come with social issues - they may not like cats, or men, or other dogs, or may be shy or have separation anxiety and the rescue needs to ensure that the potential adopters are aware of these issues and are prepared to deal with them. While I understand your frustration, please understand that the rescues aren't trying to exclude you but not every dog is suited for every home. Also, rescues are often very busy and don't always answer emails. Fill out the application and they will get back to you, email them with questions and that dog may already be gone by the time they get back to you. Don't give up. The perfect pup is out there waiting for you. I am going to say this because it needs to be known, not because I want to be an argumentative jerk. And I know it because fundraising and grants was part of what I did working with a 501c3 rescue and another organization earlier in my life. Any rescue in the united states that is non-profit/has 5013c status or is a government funded/run shelter, is in fact there to serve the HUMAN COMMUNITY they are working in. They do this by taking dogs out of animal shelters and/or directly from previous homes and placing them in new ones. They are not there to serve only the dogs. Their status as a non-profit organization - or job as a government funded shelter - is dependent upon them serving the *people in the community* through keeping or removing pets from shelters and getting them into homes. The service is in both the load reduction on tax payer funded animal control/shelters, and in providing a source of animals for new homes. In some cases in assisting in them staying in those homes, depending on how funds are allocated and used. But no. They are, in fact, at least in the US, funded and there and given tax breaks because they are supposed to be providing service to the community as a whole. The human community. So, acting as though they're not there to perform a service to the people is patently false. If they are not serving the community -the people - in some way and cannot demonstratively show HOW, they lose their funding, their status, their ability to not pay taxes, or to offer tax deductions for donations, and generally basically become either 'for profit' or 'non-entity'. Last edited by CptJack; 04-08-2018 at 10:33 AM. In Canada, where the OP is located, rescues can be set up as not-for-profit organizations or as charities. Not-for-profit organizations can be set up a variety of reasons and do not have to be set up for the benefit of humans, they can receive donations but cannot issue tax receipts. Charitable organizations can also be set up for a variety of different reasons and require government approval and a charitable organization number in order to issue tax receipts. One of the acceptable activities that allow for the registration or a charity are activities that benefit the community, like setting up an animal shelter or rescue. The community, not humans and certainly not individual humans. But none of that changes my response. Rescues are overwhelmed with emails and phone calls from people who may or may not be serious. If you want a response, show them you are serious and submit an application. When we adopted Charlie the rescue wouldn’t even talk to me until I had submitted an application and based on that information they deemed me to be an acceptable possible adopter, then we moved on to the telephone interview. No, not individual humans but the community is defined, legally, as people. As in humans. This is actually largely irrelevant. The reality is that, yes, rescues are overwhelmed and busy. The other reality is, that they often just get burned out, bitter, and start treating people like crap and in the end shoot themselves in the foot and stop being able to help dogs as a result of really poor, basic, business and customer service practices. They want to help dogs. That is commendable. In order to do that, they need donations and adoption fees. In order to get those, they need homes and people willing to donate and volunteers - ie: humans. Being understanding that they're busy IS a good thing and people need to do it. People also need to understand adoption policies and 'best dog for the individual dog' is the top priority. But: "Won't talk to people without an application" "Ignores emails and phone calls entirely" are things that, ultimately, has, can, and DOES result in rescues shutting down. You can consider the dogs your clients all you want, but the dogs aren't paying the bills. The cash influx from humans does that. And if you wa nt that you have to have SOME basic customer service and business savvy going on and a lot of rescues don't. And when they don't, as in the case of this OP, the advice is generally: Walk and find a rescue who will work with you/talk to you/is n the ball, or contract a breeder. People are going to get their dog either way. The rescue is the only one that loses. And again I say this after a loooong time working both on the board of directors for rescue, doing grant work for them, and working *with* other rescues. Ignore the people you're ignoring your income and your income is what keeps you solvent to rescue. Being burned out, bitter, angry, overloaded to the point of not being able to answer emails within a few days and you need to pull it back and remember where your money comes from and who is financing your next rescue, providing your next foster home and providing the home for the dogs. And the answer to all of those is 'people'. Treating them kindly and well is smart. Treating them badly, ignoring them and not bothering means you're going DOWN. Last edited by CptJack; 04-08-2018 at 01:44 PM. When I was looking for a puppy and wanted to go the rescue route, I got extremely frustrated... Contacted 4 of them to apply for a dog and never heard back. And about good breeders, I never heard back from the ones I contacted either. 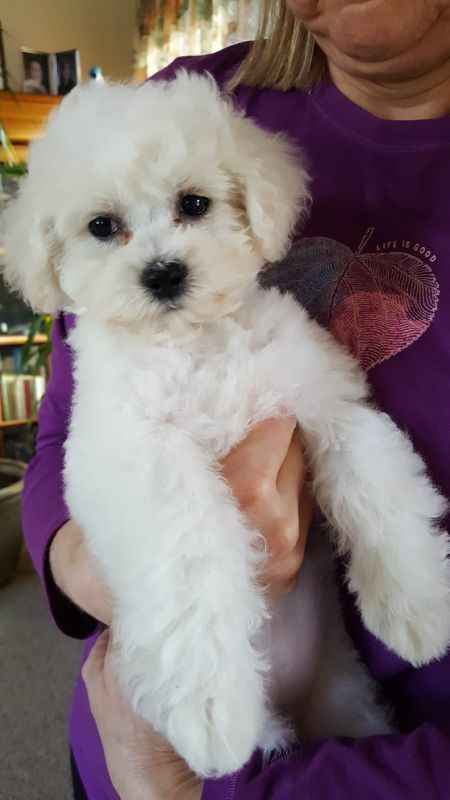 Really it's not wonder that people go for puppy mill/backyard breeder puppies instead (I could have got two of those in 2 days, no questions asked). I will also say that rescue dogs may or may not come with baggage, but I would not assume that they all do. I actually think it's a myth that the majority of dogs are surrendered for behavior issues. I don't have statistics to back up my thoughts, and I am sure it depends on where you are, but surrendering for owner issues (moving, lifestyle change, can't afford, medical challenge, etc.) is quite common. Also, shelters should be doing their absolute best to make good MATCHES. So that means, to the best of their abilities, being upfront about each dog and their needs. Point being, I don't think rescue dogs are more prone to behavior issues persay. I think if someone adopts a dog and that dog ends up having behavior challenges, they either should have been aware by the point of adoption, or that dog had an unknown history (ex. stray). The times when I expect a behavior challenge are when dogs are in the shelter systems for a very, very long time, or from a severe situation (abuse, hoarding, reservation, mills). I am sorry to hear your parents are having such a hard time. I have just recently started looking at different rescues as we would like to get another dog. I was quite surprised when I opened up some of these applications to get an idea of what they are like. I felt like I was trying to adopt a child with the type of questions some of them were asking. For those of you that have some experience with rescue groups I would like to ask a question. At what age are you no longer able to adopt a puppy or a young dog? I am 59 and am wondering if that may be an issue. Yep! I live in the Pacific Northwest and tried to go through multiple organizations. As someone who refuses to adopt a dog without meeting them first, the amount of info they need before you can even meet a dog is crazy. And I am not in a great place financially at this point in my life, looking at rescues asking $500 in “donation” plus a crazy amount of hoops and communication hiccups...I started contemplating buying a puppy from craigslist. But instead I took a road trip south to California to visit family and stopped at five county shelters before finding River. Her adoption fee was $105 and the people working and volunteering there were as concerned about her and my well being and compatibility as any rescue organization I had spoken with. Craigslist isn't necessarily bad... I'd stay away from the backyard breeders and puppy mills, but a lot of people try there first to rehome their dogs. I have given up on rescues in my area. I put in a general applications with three different places. I stated that we were looking to adopt a dog after we returned from our planned vacation, since it really was not fair to take one before that time. I figured this way all the paperwork, reference calls etc. would be completed and when we returned and came across a dog we wanted we would be set to go. After a week of not hearing a thing I contacted them all again. Only one responded saying they never got my application. Fortunately I had saved a copy so I resubmitted it. Got a response that it was received and would be processed. Several weeks later they posted some darling puppies on Facebook that I was interested in. I emailed them again telling them I was interested in one of the pups but had not heard back about my application. I got a response that they wanted the phone number for my mom's vet. I had put on the application that I help out with my mom's dog since she can no longer drive. Never heard another word from this rescue. And to this day, have not heard anything back from the other two either. I then decided to look for a reputable breeder. Can't say things went much better. Never heard back from a couple of them. A couple responded that they had no available pups. Looks like a finally came across one that is willing to work with me and we are going out to visit the litter next week. They always say "adopt, don't shop'. But some of these organizations sure make it difficult to the point that you give up trying.